Pools are plenty of fun, with loads of opportunity for ducking and diving, splashing and tumbling in the water. Throw in great swimming pool supplies, a tennis ball or a Frisbee say, and you have yourself hours of fun with your family, children or friends. Then there’s another tier of pool accessories, that really enhance your experience. Some super creative, super fun people out there have invented seriously cool supplies for your pool which will make you never want to get out of the water this summer. We’ve trawled the World Wide Web and found eight of the coolest accessories you will probably never need, but once you see them, will so desperately want for your pool. So, we’re pretty sure your Esky full of cold drinks and snacks will be just fine on the ground next to the pool or next to the barbeque where it belongs, but if you can make it float, then why not? This raft will float a mini Esky in the pool right next to you so you’re never too far away from a refreshing drink while you soak up the sun. Again, there’s nothing wrong with having your speakers by the side of the pool, but if you can have them float on the surface of the water, we’re not going to say no! 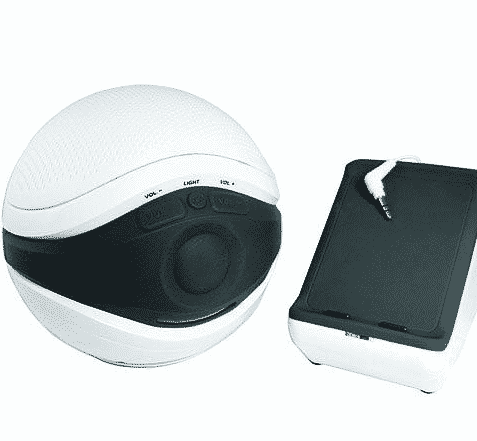 This wireless floating speaker from Audio Unlimited allows you to listen to your MP3 player up to 45 metres away with clear, precise sound! Another in the line of luxury pool accessories to bring some pizzazz to your next outdoor event is a spinning floating pool fountain. This can create a spectacular display for your next barbeque, birthday party or just night in the backyard with the family. Remember as a kid how you always used to beg Mum and Dad for a pogo stick? If your parents were anything like ours it was always a resounding no, which is what makes this underwater pogo stick the coolest in swimming pool supplies. Now, as a grown up with a pool you can get your own underwater pogo stick! It looks like loads of ridiculous fun and there’ll be no broken elbows and bruised heads like those caused by their land-based cousins! Why head to the driving range or onto the green this summer when you can bring the golf green to the surface of your pool? 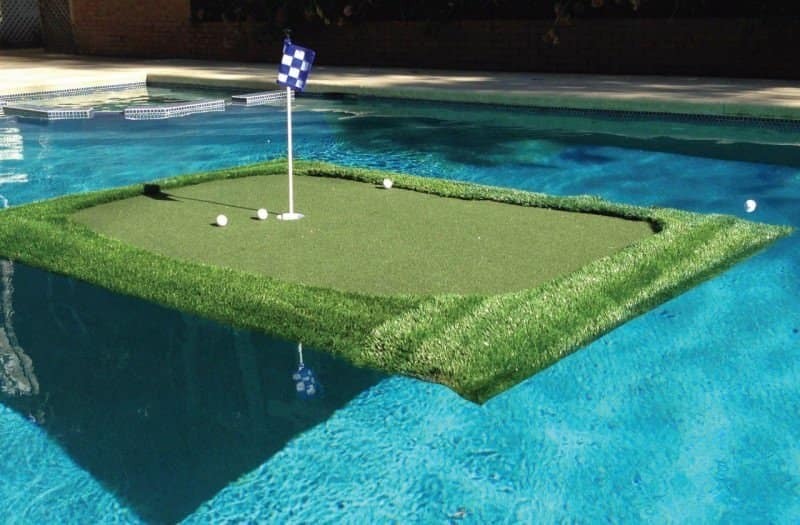 You’ll be able to practice your swing from the comfort of your own backyard with a floating golf green. They also come with floating golf balls so you won’t risk clogging your filter or pool vacuum with stray balls. Your summer days are about to get a lot more competitive with a poolside basketball hoop. Get your hands on this pool accessory and you’ll be playing “around the world” and “knock out” with glee, with at least one person calling foul. Ball sports in the pool are always lots of fun, and we love the idea of a poolside basketball ring. It’s a great way to get everyone active this summer! Swimming to the side of the pool for snacks is so last century. 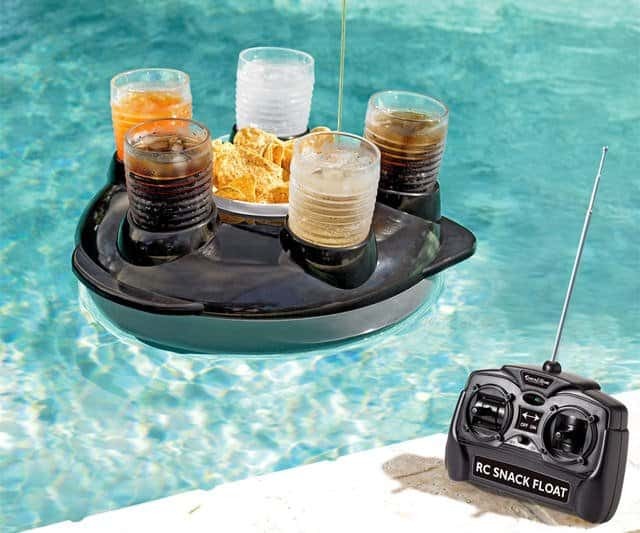 This radio controlled drink float means you can keep all your swimming pool supplies – chips and drinks most likely – close as you lounge around in the pool. We’re pretty sure Heinrich Hertz discovered radio waves for this exact reason. Our final pool accessory may come in at a cool $4,500, but the inner adventurer inside us is pretty excited about the idea of having a poolside rock climbing wall to test and challenge ourselves this summer. And you know if you lose your grip you won’t be falling into a bottomless abyss, just your nice refreshing pool! We can’t wait to get out into the pool this summer, and with a few added pool accessories and toys, there will be weeks of endless fun in your own backyard…and if you’re not willing to invest in a rock climbing wall or a floating golf green, a tennis ball and a few pool noodles will still suffice.